Triveni Digital’s unique approach enables broadcasters to make a seamless migration to ATSC 3.0 to start deploying the new features and services, while still supporting the current broadcast infrastructure for the duration of the expected transition phase. StreamScope XM is one of the industry’s first monitoring and analysis systems that supports ATSC 3.0 candidate standards. Using StreamScope XM, broadcasters can perform detailed analysis of ATSC 3.0 streams and data structures. By enabling broadcasters to analyze ATSC 3.0 services and quickly detect, isolate, and resolve issues, StreamScope XM makes it practical for broadcasters to launch early deployments and trials of ATSC 3.0, ushering in a new era of digital television that will leverage the dramatic improvements in the underlying broadcast technology. With StreamScope XM, broadcasters have the flexibility to configure analysis rules, select performance parameters, customize dashboards, and resize charts and graphs to create an efficient, personalized analysis tool with on-site and internet access. Through the system’s user-friendly web-based interface, users can view current and historical reports for postmortem analyses, improving quality of service over the long term. A key highlight at the NAB Show New York will be Triveni Digital’s GuideBuilder XM signaling and announcement generator, offering unified functionality per the ATSC 3.0 candidate standard, along with support for legacy standards such as ATSC 1.0 PSIP and DVB-SI. 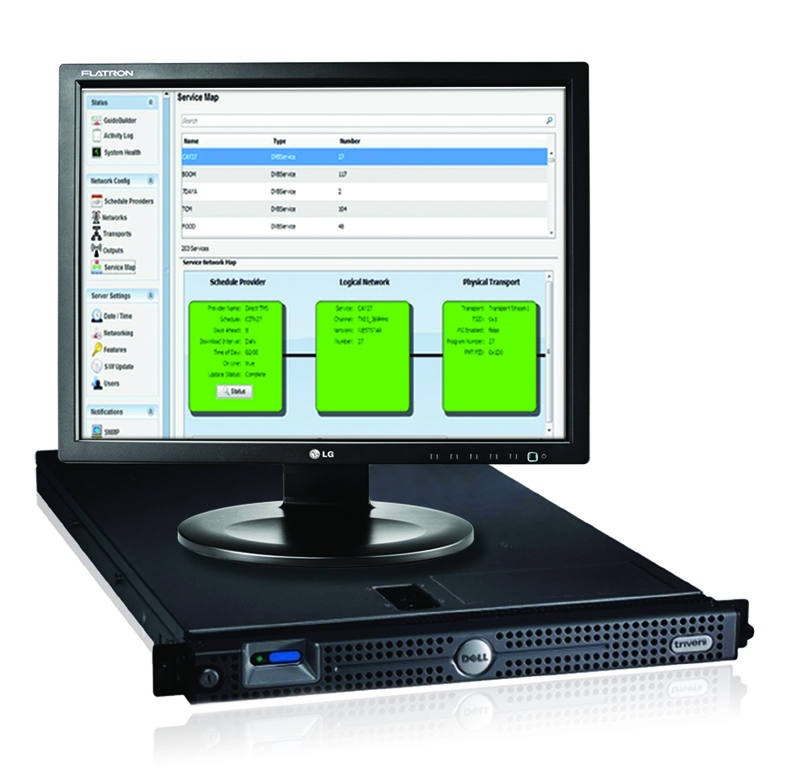 GuideBuilder XM provides support for the widest range of third-party interfaces and deployment architectures available, enabling broadcasters to automatically ingest schedule updates from all popular listing services, apply them to any number of services, and output program and service guide data to third-party multiplexers. Additionally, ROUTE and MMTP encoding options within GuideBuilder XM are supported. Through the system, broadcasters can manage metadata across multiple stations while maintaining a seamless workflow during the transition to ATSC 3.0. Using the system for channel sharing, broadcasters can unify the generation and management of metadata via centralized, distributed, or cloud workflows. By allowing broadcasters to deliver advanced electronic programming/service guides (EPGs/ESGs) and localized, enhanced emergency alerts in the ATSC 3.0 era, GuideBuilder XM improves the television viewing experience.